If locomotives make your heart beat a little faster and you think box cars are beautiful, this is the perfect personal touch for your letters and packages. 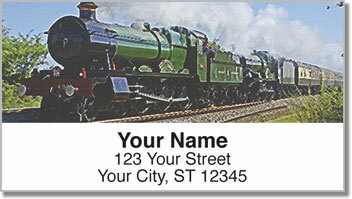 Photos from along the train tracks make great return address labels for lovers of the railroad. 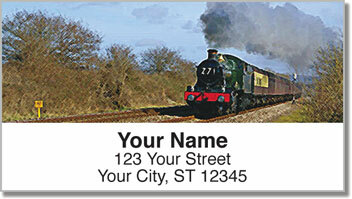 Listen hard enough, and you may even be able to hear a train whistle blowing as the engine rattles along the line. While this product is certainly an eye-catching way to top off your outgoing mail, it also makes the process of preparing that mail super simple. Since these are self-adhesive labels, all you have to do is peel and place them on every envelope. 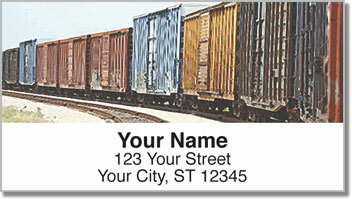 Order your very own Rail Yard Address Labels right now! 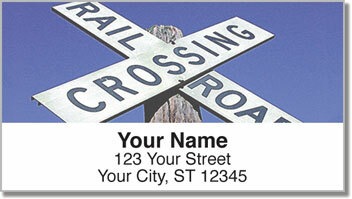 You can also add matching personal checks to make it all complete.